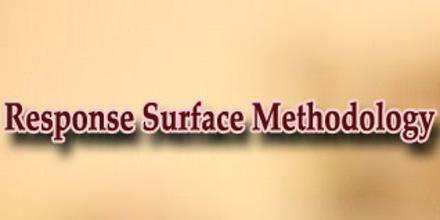 Response Surface Methodology is a method, which design optimization is aimed at reducing the cost of expensive analysis methods and their associated numerical noise. It explores the relationships between several explanatory variables and one or more response variables. Response Surface Methodology is to use a sequence of designed experiments to obtain an optimal response. It uses statistical models, and therefore practitioners need to be aware that even the best statistical model is an approximation to reality.